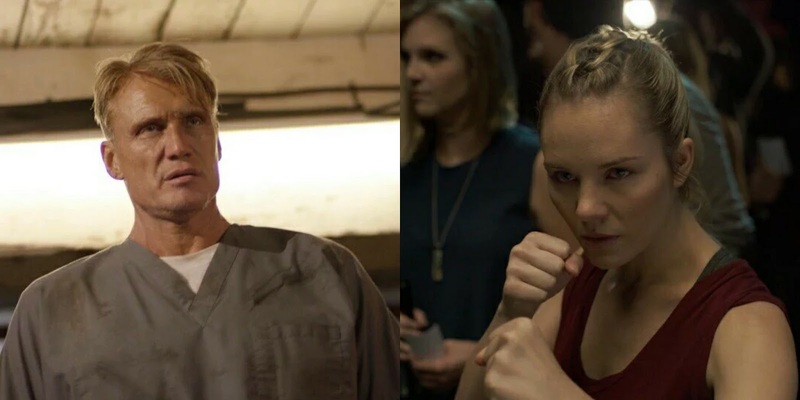 One other piece of news that has been floating around has been in the form of several stills from the new underground tournament thriller, Female Fight Club. Miguel A. Ferrer is the noted debut director of the film while fans may recognize actress Amy Johnston and Dolph Lundgren in their first picture together. The film is now circulating at American Film Market courtesy of Cineville International with a script by Ferrer and co-writer Anastazja Davis which centers on Johnston as a former fighter forced back into her old life to rescue her sister from the criminal underworld of illegal fighting and its sadistic ringleader. The film incidentally reunites Lundgren with Stash House co-star, actor Sean Faris, Levy Tran and The Martial Arts Kid co-star Chuck Zito also star with Tadross Media Group’s Michael Tadross Jr. producing along with Sonja Mereu, Carl Colpaert and Frederic Demey, and Randi Acton executive producing. The prospects here are great for both cast members and with specific regard to Johnston who has been spotlighting her way from internet martial arts stardom to role in films like her upcoming leading debut, Lady Bloodfight and Kellie Madison’s pending series, The Gate. In the meantime, fans of Lundgren have several titles on deck, including Don’t Kill It, Riot, Larceny and Kindergarten Cop 2. We’ll have more on these in the coming months so stay tuned!